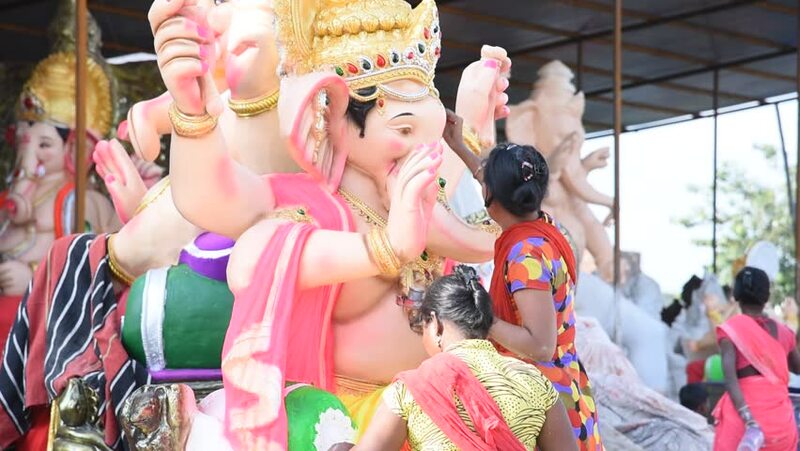 hd00:13AMRAVATI, MAHARASHTRA - SEPTEMBER 12, 2018: Artist gives finishing touches on an idol of the Hindu god Lord Ganesha at an artist's workshop for Ganesha festival. hd00:19BANGKOK, THAILAND - FEBRUARY 09, 2016 : Dragon dance performers work the street of Yaowarat during the celebration Chinese New Year and Valentine's Day. Yaowarat is a Chinatown situated in Bangkok.